Is there a surgery that cures type 2 diabetes? Let us be clear: Diabetes is not well understood and according to medical science there is no cure. However, the aim is to get the diabetes into remission, and this means normal blood sugar levels with no requirement for medication. This entails getting glucose levels back to normal, and stopping the complications of Diabetes, thus giving the body the opportunity to repair any damage. In 86% of people, diabetes was improved or completely resolved. In 70% of people, high blood lipids improved. In 78% of people, high blood pressure was improved or even resolved. In addition, a study published in the Annals of Surgery noted that 83% of 240 patients who underwent gastric bypass surgery were actually cured of diabetes. And in the New England Journal of Medicine, a study concluded that the long-term mortality following gastric bypass surgery, particularly death from diabetes, was reduced significantly. This means that metabolic surgery plays a huge role in the treatment of Type 2 Diabetes. How Does Surgery Cure Type 2 Diabetes? We understand that metabolic surgery places Type 2 Diabetes patients into remission. However, we do not know how it works. There are theories, of course, including the thought that food being shunted directly to the lower intestine could stimulate glucagon-like peptide, a substance capable of increasing insulin production. Another thought is that the hormones which prompt hunger might be dulled because the anatomy of the gut has been rearranged, so with the craving for sugar being reduced, patients should be able to better manage their blood sugar levels. We are also not convinced of the ideal metabolic surgery type for treating diabetes. There have been studies looking at the different surgery types, but until the perfect one is found, the laparoscopic RY Gastric Bypass is the best solution, because almost immediately after surgery it places the Type 2 Diabetes into remission. A further question remains: When should the surgery be performed? Should it be done at first diagnosis of Diabetes, or later on when complications arise? It would seem that sooner would be better in order to minimize Type 2 Diabetes complications. What About Morbidly Obese Type 2 Diabetics? Almost two-thirds of Type 2 Diabetics in the world are NOT morbidly obese. However, they are overweight, with their BMI ranging from 27 to 35. Most metabolic surgeons with a lot of experience (that means they can perform the laparoscopic gastric bypass with a very low complication rate) will accept patients with Type 2 Diabetes and BMI of 30 or greater for metabolic surgery. It may be possible that people with diabetes who are not obese or even overweight could benefit from metabolic surgery. Conventional bariatric operations and use of experimental procedures are being examined increasingly in diabetic patients who are less obese, producing generally favourable results. However, further assessment of risk to benefit profiles is required. I Have Type 2 Diabetes, should I have Surgery? There is definitely no question that you should put a lot of thought into metabolic surgery if you have Type 2 Diabetes and are morbidly obese with a BMI >35 Kg/m2. You should safely count on achieving an 86% remission of your diabetes, and the risk of death will be reduced by as much as 89%. If you currently have Type 2 Diabetes, are overweight with a BMI of 30 – 35 Kg/m2, and you have any long-term complications of Type 2 Diabetes like kidney or eye problems, surgery is something you should seriously consider. There is a 78% chance that your diabetes could be improved, or even cured. 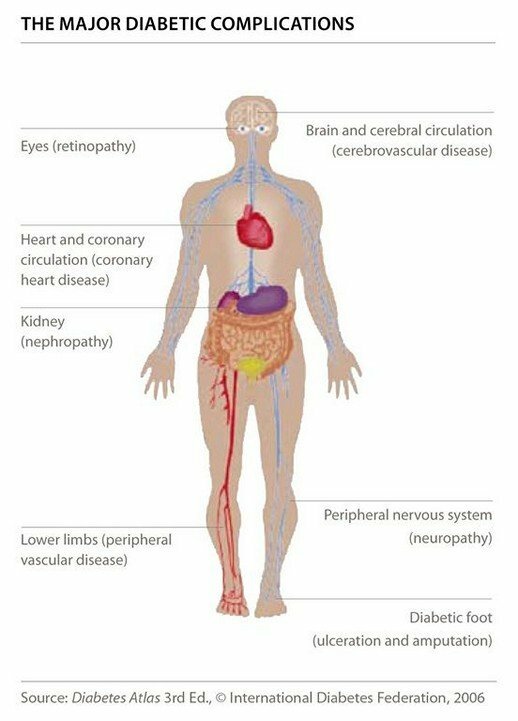 Type 2 Diabetes and Obesity are very serious and chronic conditions associated with complex metabolic dysfunctions, increasing the risk for mortality and morbidity. There has been a huge rise in the prevalence of diabetes and obesity, becoming a major global public health issue. It demands urgent attention from the medical community, health care systems, and Governments. Bariatric surgery is the appropriate treatment for patients with obesity and Type 2 Diabetes and who have not achieved their treatment targets with medical therapies only – particularly when there are other important co-morbidities. For patients with Type 2 Diabetes and a BMI of 35 or over, surgery could be the accepted option. For patients with a BMI between 30 and 35, surgery could be an alternative treatment option when diabetes cannot be efficiently controlled by an optimal medical regimen, particularly if there are risk factors for major cardiovascular disease. In Asian and other ethnicities where there is an increased risk, BMI action points could be reduced by 2.5 kg/m2. The mortality and morbidity associated with bariatric surgery is very low, similar to that of other accepted procedures such as gall stone surgery and elective gall bladder surgery. The bariatric surgery for Type 2 Diabetes has to be performed within the accepted national and international guidelines. This requires the following: proper assessment for the procedure, ongoing and extensive multidisciplinary care, thorough patient education, follow-up and clinical audit, in addition to effective and safe surgical procedures. Further research is required in order to maximise the future and ongoing use of bariatric surgery as a therapeutic modality for Type 2 Diabetes.